The company you run cannot only be the greatest; it needs to start looking its greatest as well. Cleanliness and organization are key factors when it comes to running an office or business. People who walk through the doors and into your place of business should be impressed with the way your business looks. 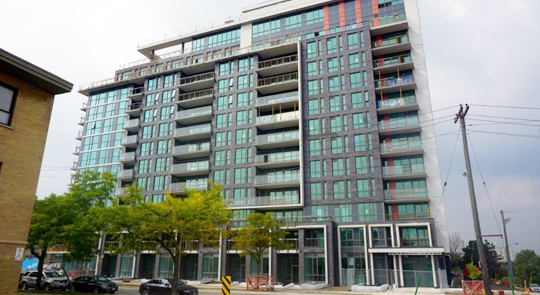 From condo windows to office building windows, our Etobicoke commercial window cleaning technicians will make sure your property looks its absolute best. NICK’S Window Cleaning is Etobicoke’s dependable choice; providing high-quality window cleaning service to all commercial properties. We work directly with every client we have to ensure our services match their needs precisely. Our plans are accommodating and customized to fit your needs. When you contact us for a free no-obligation estimate we discuss with you what you need done and how you would like it done. Specific needs such as time of day visiting or interior & exterior window washing are also areas we are able to address. While we have packages, they are always dependent upon your business needs and we are flexible in discussing how we can go about providing you with the best service possible. Our availability is such that we can match your needs. Whether you need service after-hours, before-hours, or on the weekend. Let us know your needs and we will do our utmost to provide appropriate service. Freshly cleaned windows will help to make your business look its best while you get to choose a time that works for you to have the work done. When you hire us to do the work, your windows are cleaned at a time that is most convenient for you. Our Etobicoke commercial window cleaning professionals will get the work done whether it is the weekend, early morning, or after you are working ours. 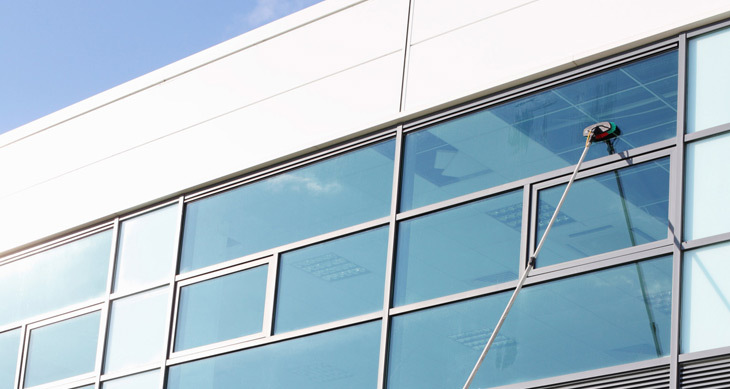 We will do our utmost to provide clean windows at a time that causes a minimum of disruption for you and your business. Safely cleaning commercial windows is incredibly important to us. Our staff are experienced, trained professionals that understand the necessary precautions to take and are versed in the use of all equipment to ensure efficient and safe operating procedures. In addition, not only that but we carry full liability insurance and are bonded to protect all parties involved in our services. 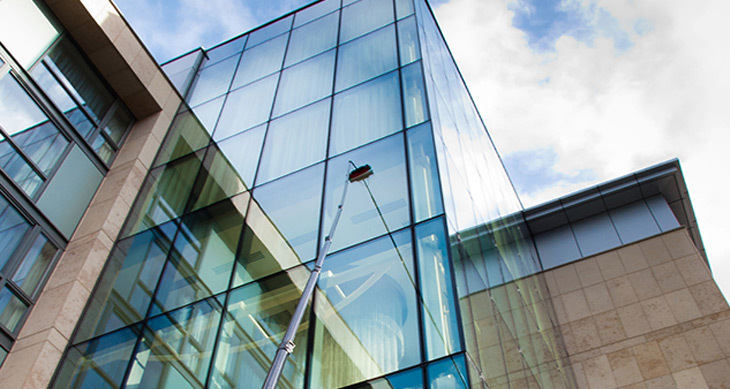 With a high-level of focus on safety, our Etobicoke commercial window cleaning service is the right fit for your business. NICK’S Window Cleaning provides you with the quickest and most effective window cleaning maintenance plan set to meet all of your expectations. Priding ourselves on our high-quality industry leading service, our personalized plans ensure your storefront or commercial office building look their best. All workers are trained, insured, and professional. Our workers are great at their jobs and put in the extra effort to keep the windows at your place of business looking sparkling clean. Attention to detail is very important to achieve this goal, and our workers are quite skilled at getting the job done quickly and effectively. 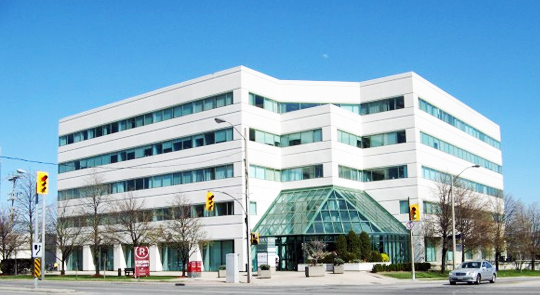 Commercial window cleaning in Etobicoke is important for the many businesses that exist in this bustling region, whether its office buildings or storefront shops. Dingy and dirty windows will always leave customers and potential passersby with a bad impression. The truth is that many business owners simply do not have the equipment, time, or skill required to clean their building on a regular basis. When you hire a specialized window cleaning company, you are making an investment in your business by improving the impression you are leaving on existing and potential customers. People who come to your place of office, or simply walk by your storefront, will take note of the look of your windows. A first impression is such that many people might not even realize they are making it, but it happens all the same. Therefore, impressions always count, even if you perhaps think they are not as important as they really are. Assessing a business or company is one thing that happens subconsciously. Most people will only notice dirty windows consciously, but will simply see clean windows as an expectation they already have being met and as such, it will pass by unnoticed. Therefore, it is important to keep your windows clean at all times. Having your merchandise and store clearly visible is incredibly important, it looks inviting and people can easily see what you have for sale. When people cannot clearly see your products, or your store looks dark and difficult to see into, it can leave them with the impression it is not a place for them to go. Sparkling clean windows will look more appealing and ultimately attract more customers. Hiring Etobicoke commercial window cleaners to handle this aspect of running your business is a good way to make certain the job is done properly and regularly. Professionals will have all the proper equipment, training, and knowledge to make sure that your large windows are cleaned properly, leaving behind no streaks or smudges. In some cases, commercial cleaners will also be able to seal windows in such a way as to repel dirt in the future, making your windows even easier to clean down the road. Not only do clean windows attract customers and clients, making your place of business look its best is just a great way to show you take pride in what you do. This leaves the impression on your co-workers or employees that the work they do matters and leave them with a sense that the company they work for is professional. This is another reason having clean windows is important for a brick and mortar business. Hiring a professional team to clean your windows makes sure that your company looks great, and your workers can do the jobs they specialize in rather than giving one of them a bucket of water and rags (and we all know that is a poor way to clean windows).Commercial Etobicoke window cleaners do the job right because we have the experience, quality tools, and training required to keep office and storefront windows sparkling clean. If you are interested in keeping your windows looking great, NICK’S Window Cleaning can help to make your Etobicoke business looks great for years to come.